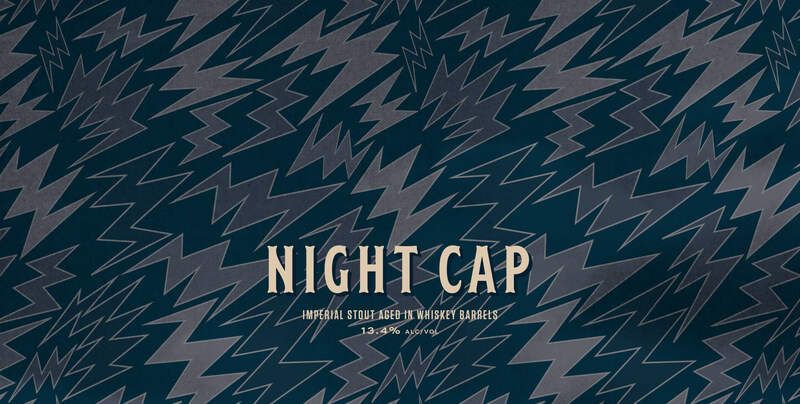 Night Cap - Lamplighter Brewing Co.
An Imperial Stout brewed with vanilla and Vermont maple syrup, then barrel aged in whiskey barrels for over 7 months. This silky Imperial Stout was aged in Bully Boy whiskey barrels for 7 months. Over 200 lbs of Vermont maple syrup fermented in the initial 40-barrel batch, boosting body, flavor, and ABV. On the nose, a whiskey presence is unmistakable, complemented by the floral aromas of Madagascar vanilla beans and distinctly oaky overtones. Like any stiff drink, a sip of Night Cap provokes a warming sense of comfort while packing a wicked punch.